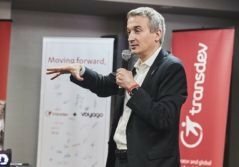 As part of its strategy to reduce its debt, Transdev completed the divestiture of its subsidiary operating in Central and Eastern Europe on May 15, 2013. 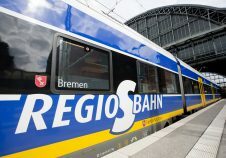 Transdev has sold its subsidiary, Veolia Transport Central Europe GmbH to DB Mobility Logistics, a subsidiary of Deutsche Bahn AG, which specializes in passenger transport (train and bus) as well as rail, air and maritime freight. The divestiture includes the entirety of Veolia Transport Central Europe GmbH, a German company operating in Poland, Czech Republic, Slovenia, Slovakia, Croatia and Serbia, as well as all of its activities. The EBRD (European Bank for reconstruction and development) was a minority shareholder in the company. The divested company generates annual revenues of nearly €253 million and employs approximately 6,300 people. 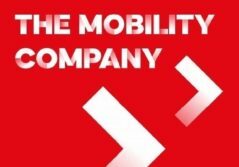 The sale is the first step in Transdev’s recovery strategy launched in January, part of a financial restructuring process and the re-focusing of international activities on promising markets in which the Group can ensure development. A subsidiary of Caisse des Dépôts and Veolia Environnement, Transdev is one of the world’s leading public transport companies. Transdev advises and assists local authorities, from pre-project to daily operations of public transport systems to project management. With 101,000 employees in 27 countries, the company operates 50,000 vehicles and 23 tram networks. Veolia Transdev generated revenues of 7.6 billion euros in 2012.